Don’t stop the music! This episode is jam-packed with more music-themed ideas for storytime. 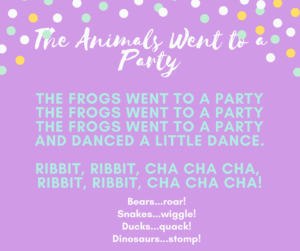 We share some more of our favorite recorded songs, discuss new books, and present rhymes, songs, games, and flannels all about music and dancing. 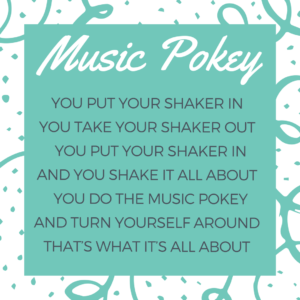 We have rhymes & songs that can be used with shakers & rhythm sticks or without! For those about to rock (in storytime), we salute you. Have you seen Jimmy Fallon and The Roots perform using classroom instruments? Check out this performance with Ed Sheeran – I spy a shaker egg! Hey Ed, where’d you get that banana shaker? We’re in the mood for mood music! 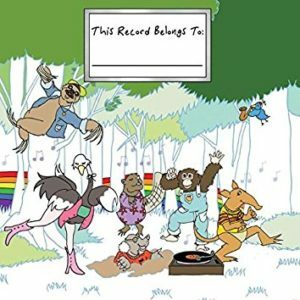 We continue our discussion of recorded songs for storytime with some of our favorites that we use before and after storytime, as well as during bubbles. 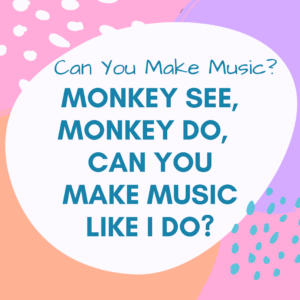 This is a “do what I do” game that involves music and early math skills. 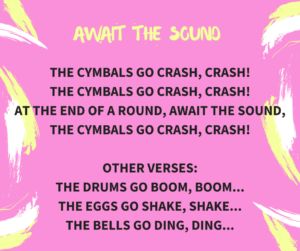 With this rhyme, the kids get to participate and copy patterns of sounds after hearing you make them. Start with a simple progression, such as stomp, clap, stomp, clap. If using rhythm sticks, try tap, tap, stomp, stomp. In addition to setting the foundation for more advanced computational thinking, this game is also fun! Clap your hands, stomp your feet, shake your eggs, tap your sticks, and make some music! For more information about teaching patterns, visit themeasuredmom.com. 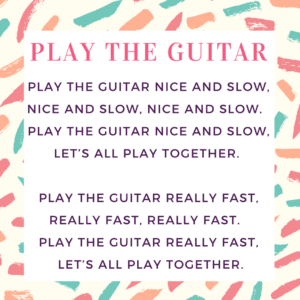 Break out those air guitars and sing this to the tune of “London Bridge.” The kids love moving from slow to super fast! You can add more verses with other pretend or real instruments, or simply clap your hands and stomp your feet! This is a counting down rhyme perfect for the flannelboard. 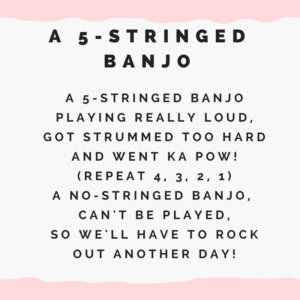 Make a flannel banjo with five removable “strings” – have the kids pretend to rock out on the banjo, and then tell them they played so hard that a string popped off (Ka pow!). Subtraction, air banjo, and exploding strings – what more could you want? Flannel pics are coming soon. The name says it all, this is the Hokey Pokey with instruments. Use whatever you have – shaker eggs, rhythm sticks, bells, etc. If you don’t have enough of any one instrument for everyone, pass out a variety so everyone can be involved in some way. That’s what it’s all about! Create some instrument flannels or laminated pictures, and discuss their names and sounds with your storytimers before doing this counting down rhyme. 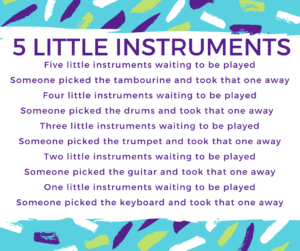 We chose these instruments, but you can change it up to be any you want – cowbell, anyone? Look for pictures of the completed flannels soon. You don’t need real instruments for this song! 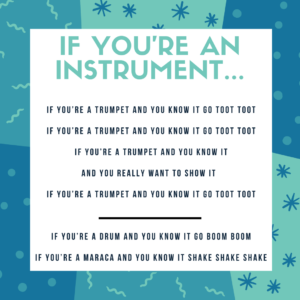 Make your own instrument sounds in this version of “If You’re Happy and You Know it.” Toot toot! 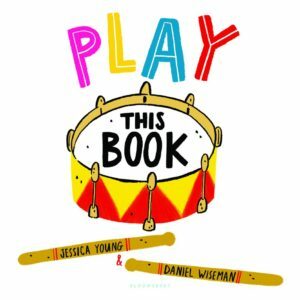 Imaginative and instrument-filled, this new picture book is out just in time for summer. And it’s interactive -YESSSS! Available May 22nd, readers will strum the guitar, slide the trombone, crash the cymbals and more. Great for fans of Press Here – and who isn’t?! Excited for some new read alouds for storytime? Yeah, we totally are, too! 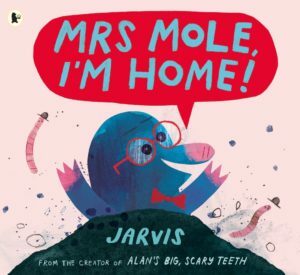 So, this picture book by Jarvis isn’t all that new, but it’s new to us! 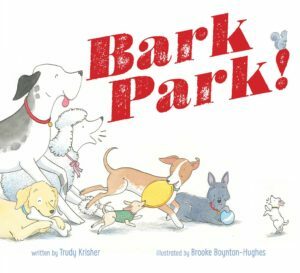 Let us know if you’ve read this one in storytime – it seems like a hilarious read aloud! We’d love to hear your music ideas for storytime – share in the comments!